Linda Shenton Matchett: Talkshow Thursday: Welcome back, Sheila Ingle! Linda: Welcome back to my blog. Thanks for joining me today. 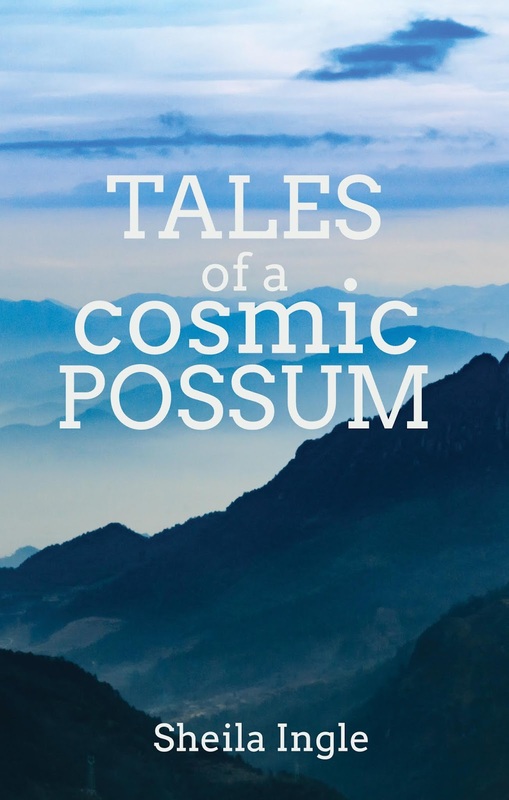 Your book Tales of a Cosmic Possum is a biography of your husband’s family. Why did you decide to write the book, and how did you come up with the title? 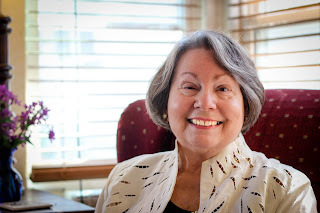 Sheila: John and I have been married 39 years, and I believe this book has been in the works that long. 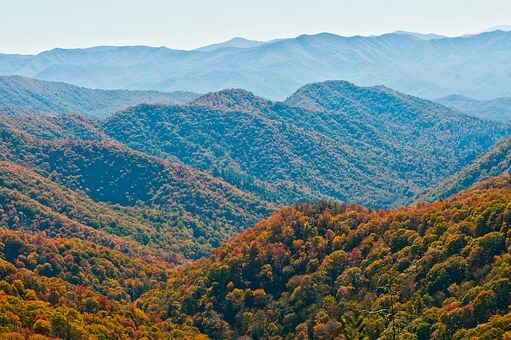 His heritage is the Appalachia mountains of Tennessee. When his grandfather left his holler, he moved to South Carolina to join the work force at a cotton mill. The family brought their customs and traditions with them. Growing up in the city, I knew nothing about life in a mill town. When we met, I quickly learned the differences. Listening to the dialect, being introduced to country music, and listening to their stories truly expanded my horizons. The book Christy by Catherine Marshall came alive to me when John and I drove to Cutter’s Gap/aka Morgan’s Gap where we met the son of the woman who took Christy’s place as the school teacher. I finally realized it was time to tell the stories of the Ingle women. In one of Sharon McCrumb’s books, she writes of a cosmic possum, and Jane Hicks defines it in her poem, “How We Became Cosmic Possums.” When I read both of these, I realized I was married to a cosmic possum. John is one of those whose roots are Appalachian, but who has gone on to become educated without losing his mountain heritage. LM: Research is important in any writing, but especially for non-fiction. How did you go about finding the information you needed? Sheila: Interviewing John, his brother, and his cousins was my primary source; their memories of their growing up in Ingle Holler is still phenomenal. I learned about the different jobs in the mills through videos, the Greenville Museum, who has dedicated space to this lifestyle, reading descriptions of the mill villages and books of this era. The mills themselves are no longer in use, but their stories are still being told. Newspaper articles also were a help. Yes, to viewing the Pacolet River that flooded and refurbished, four room mill houses. Our public library was a solid source of both photos and text. Also, choosing to have the setting for each story to be part of one day in a particular year helped with choosing what history details to include. e.g. Annie Mae owned the boarding house during the Depression, and the family talked about how she reached out to hoboes. Since I knew nothing about hoboes or their lives, I was fascinated to research them. LM: On your website, you indicate the Revolutionary era is your favorite. What draws you to that time period? Sheila: Because of my grandmother’s enthusiasm for genealogy and family history, she became a member of the Daughters of the American Revolution, as well as several other lineage societies. She enjoyed telling my brother and me about those early settlers and how they fought for our freedom. I caught this time as being important to my history. As an English teacher, I taught literature from an historical perspective, including information about the government, music, lifestyles, etc. I am/was convinced that we learn well through immersion into a period, not by memorization. After joining a DAR chapter here in Spartanburg, I went to visit Walnut Grove, an historic home built before the Revolution. 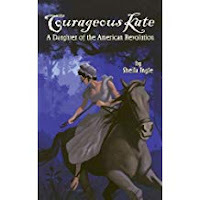 It was in walking where the heroine walked and listening to the docent that I realized that there are few stories about the heroines of the American Revolution. So I decided to fill that gap with a book about Kate Moore Barry, a 18th century woman who lived less that five miles from where I grew up. From then on, I was hooked by this time period. Visiting reenactments and watching the reenactors live out the lives of those years, touring houses, plantations, churches, and civic buildings in my state of SC kept me learning, also. The fact that most of the heroines were unknown filled me with a quest to share their stories. This time is the beginning of our nation, and we need to pass down to the next generations the importance of that. And, I am a descendent of Martha Washington which also intrigues my curiosity in wanting to learn all I can about our first First Lady. Sheila: As a teacher, I taught composition and started writing for some of our church publications. I mulled it over often and even did some ghost writing. It wasn’t until I visited Walnut Grove that I had a story that I was compelled to tell. It was a wonder that a local press agreed with me, and a year later, Courageous Kate was printed. What followed were four other biographies, including Tales of a Cosmic Possum, all written and published in eleven years. It has been an unreal journey, and I have enjoyed every minute. Sheila: I believe I would like to go on a jaunt that included Williamsburg, Mt. Vernon, Boston, and Philadelphia. Of course, there would be a few day trips along the way, like the childhood home of George Washington at Ferry Farm, Plimouth Plantation, and several days overnighting at the City Tavern. The ultimate part of this vacation would be that time would not be an issue. Both times I visited Mt. Vernon, I was plagued by a clock for only one day’s stay. Oh, I need the owners of Carter’s Grove, my Carter family, to reopen the house to the public once again. Watching the wild horses on the Outer Banks would also be a must, and in the evening a front row seat at The Lost Colony play in Roanoke. And one more thing would be watching a performance of Hamilton on Broadway. Probably this would take care of my bucket list! Sheila I have almost completed research on Judith Giton Manigault, one of the first Huguenots to immigrate to South Carolina in the 17th century. On January 22, I will share part of her story to the South Carolina Historical Society, and maybe their response will guide me toward telling her story. Tales of a Cosmic Possum is a group of short stories based on the history of eight women in my husband’s family who worked in the cotton mills of SC. They worked together in the mills, shared their gardens, attended church, and enjoyed the playing and singing of the songs from the Grand Ole Opry. When five of the brothers went off to war, those who couldn’t fight took care of their families. The Ingles stuck together, just like they were taught in the Appalachia.